Drum Leaf Binding Workshop with Monica Oppen. Drum-leaf Binding is one of the best binding styles for printmakers! It is a simple but adaptable binding style which can be either a codex or a concertina, can have pop-outs, fold-outs, cut-throughs and sewn sections added without the binding becoming more difficult. 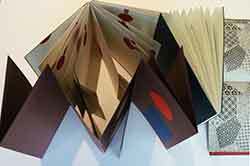 In this workshop the bookbinding basics will be covered as well as an exploration of the possibilities of extending the binding into its more exciting contortions. Participants can use proof prints, rejected prints, found material, decorative papers to create the book. Text can be printed using rubber stamps, typewriter, cutting lino or stencils etc. This workshop is suitable for beginners and those who have had some binding experience. Our guest bookartist, printmaker & writer, Monica Oppen, has trained & worked as a hand binder & has 20 years of binding experience. She has bound her own work & collaborated with other artists. Her books are in public & private collections in Australia and overseas. Spring haz come to Tokushima, and we are looking forward to increasingly good weather.Thank you for your continued support of our creative endeavors. You may be pleased to know that the ‘Awagami International Miniature Print Exhibition’(first held in 2013), will be held once again this year. Thank you so much for taking time to help make the past two “AIMPE”exhibitions successful. 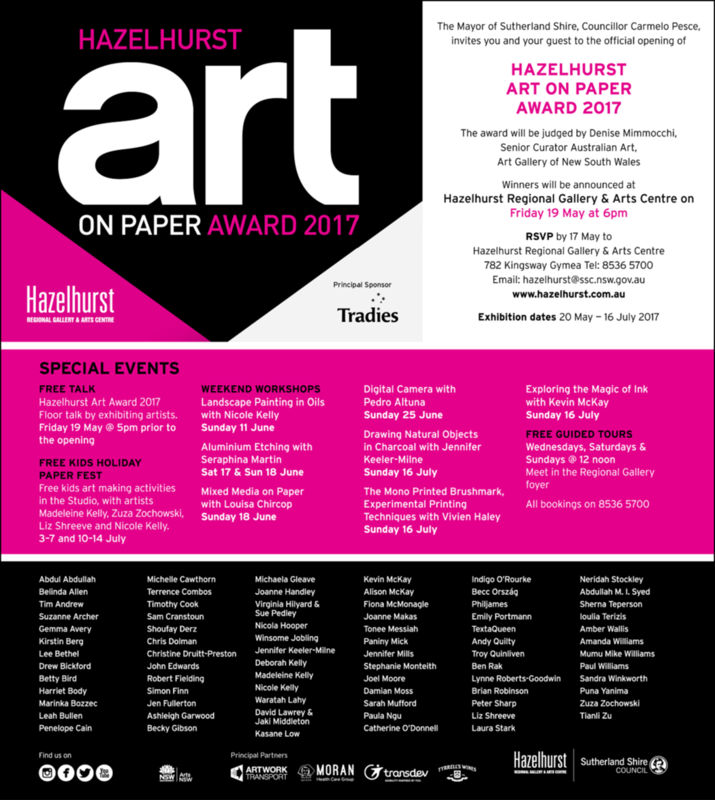 The 2015 exhibition received 1,108 print submissions from 756 artists (from 51 countries) with a few prizewinners being younger ‘up-and-coming’artists. This cross-cultural and ageless print creativity indicates the breadth of international printmaking that we are pleased to support through A.I.M.P.E. I hope that we can rely on everyone’s support once again this year to continue to grow A.I.M.P.E and offer this message of sincere gratitude to all who have helped. Please also consider this letter as a kind invitation to submit your miniprint to A.I.M.P.E as well. Applications will be accepted starting May 1st . Go here for further details and application form.